Fortnight on the Internets has terrorist in the State House! In our triumphant return to the podwavez, we break down the #StandWithWendy political phenomenon with Mark Corcoran and Phillip Martin of Progress Texas. We’ve got a report card loaded with the best internet gems that hit during our hiatus, and a very sexxxxy dramatic reading of some Phil Collins erotica. With rad summer music from Béisbol! After six weeks off, there was plenty to rap about — but we managed to cut it down to the top three items of the super-fortnight! 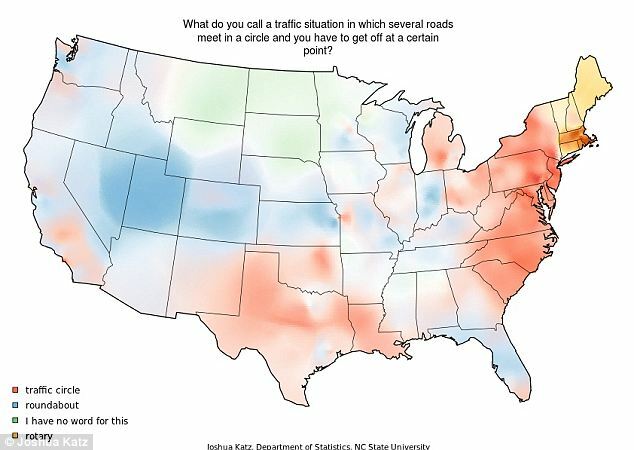 We all know about regional variations in dialect and expressions — but NC State statistician Joshua Katz has compiled a few dozen of the greatest examples into a series of outstandingly compelling maps based on research performed by University of Cambridge researcher Bert Vaux. The results are fascinating. See all the maps here at the (somewhat slow) interactive site. A genius named Tiffany Beveridge has found a way to use Pinterest for comedic effect — mocking the way trendy parents fetishize their kids! Her Pinterest page, My Imaginary Well-Dressed Toddler, is a genius use of the social media site that’s been quickly gaining scads of fans and followers. Bravo to T-Bev for forging new territory in the world of ha-has. Anchor Nicole Brewer and weathercaster Carol Erickson have been dueling on the morning airwaves in Philly for months. Is this evidence of a bitter TV news feud — or just some creative editing by a devious Youtuber? CBS3 and the two women claim this is trumped up and they are in fact BFFs who spar on air purely in fun. Yet in some of these clips, the animosity doesn’t seem in jest! Whatever the truth, this clip went hugely viral (pushing 3 million views) and marked the latest high water mark in Philly news media drama. Here are a couple other Philly newscaster stories I mentioned during the show: The Ballad of Alycia Lane and the horny, roofied weatherman scammed on South Beach. The Burian brothers, Ryan and Jeff, relocated from Hemet, CA to Portland a while back, bringing with them a blend of classic rock hooks and PDX indie rock charm. Their new record, Lo-Fi Cocaine, is packed with great summer jams that you need to add to your pool party playlists immediately. It brings to mind the sly wit of Steely Dan and the funkiness of Talking Heads. Even tough critics like Liker (and past guest) Ashley give this band props. Don’t miss out. For more great cuts from the album, check out their Soundcloud. Like ’em on Facebook, follow ’em on Twitter, and hit up their website for all things Béisbol. As usual, we’ve added ’em to our master playlist of all past musical guests! This one pretty much sells itself. PHILROTICA. It’s a hot, sexxxxy tale of seduction starring Phil Collins, the ex-Genesis stickman and Sussudio hitmaker. Kiss them once or twice! To keep up to date on all things Philrotica, be sure to also follow the anonymous, genius writer on Twitter. Easily the biggest internet story that happened during our hiatus was the tidal wave of attention and energy that crashed on Austin, TX during a special legislative session. 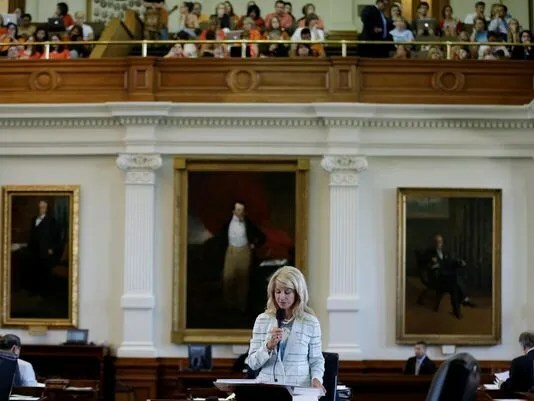 The implementation of new abortion clinic restrictions was almost single-handedly stymied by the efforts of State Senator Wendy Davis. Filibustering the bill for 13 hours, she electrified Texas activists and lit up the entire internet, trending globally for hours even as CNN thought it more newsworthy to discuss the number of calories in a blueberry muffin. Rarely has a state legislative session garnered so much nationwide attention, and this time it was driven almost entirely by the internet. To help us understand why and how this all went down, and what it all means, we were joined by Mark Corcoran and Phillip Martin of Progress Texas. To show your support (and enjoy the wit and wisdom of a talented organization), check out Progress Texas on Facebook. Props to all the Likers who kept things poppin’ on the Facebook page while we were on vacation! You guys are the BEST. Liker Leah H. for Classical Sculptures Dressed as Hipsters. Thanks to her, this got on our radar muy fast before it really blew up. Liker Nate M. for posting Vice’s article on the miserable and hilarious failings of the Hollywood Wax Museum. Liker and Theme Song Composer Jesse M. for sending along the amazing compilation of angry Paula Deen fans writing into…the Food CHANNEL. Liker Matthew R. for discovering footage of Husker Du being interviewed by Joan Rivers on her late 1980s late night talk show. Liker and past guest Brett W. for spotting Danny Zuker’s epic Trump Twitter takedown. LIKER OF THE FORTNIGHT: Liker Chaia M!!!! Repping the NYC, she’s the clutch performer who passed Philrotica along to Alison. How she even found it…we’re a little afraid to ask. But regardless, props to her for bringing us an undiscovered gem that made this episode muy caliente! Much love to you all for hanging with us through our break — we’ll be back in 2 weeks with more internet glory. Thanks to Beau Raymond of THE BAD COP BAD COP and Annie Ostrowski of RIOT ACT MEDIA for musical assistance.